I am a writer of books for adults and children. My novels are “House of Shadows” a time slip novel. 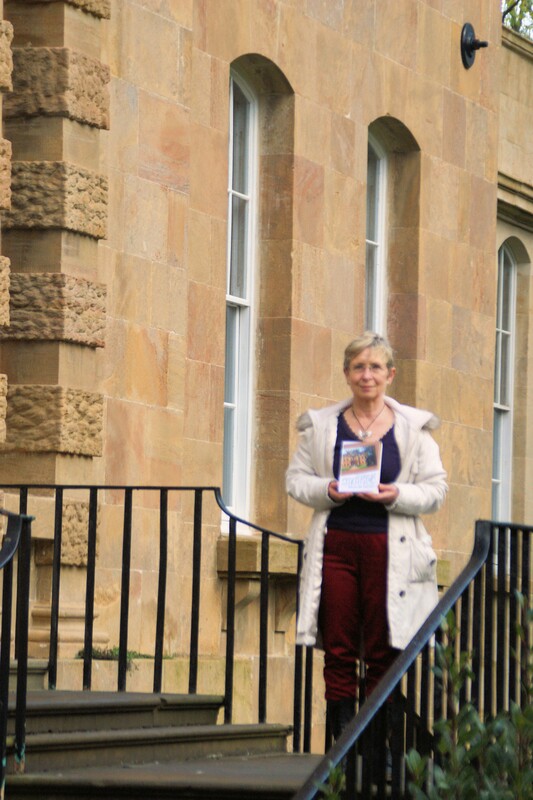 “Picking up the Pieces” a story of women of a certain age, “Shadows on the Grass” a historical novel based on the history of my family and how they came from Poland to the UK after WW2. My children’s books include The Dragonfire trilogy for the mid-grade 8-12 age range; and my latest book “City of Secrets” for the same readership. “City of Secrets” is the first of the Adventures of Letty Parker and her friends. I have also written plays, for professional companies and for schools and my short stories have appeared in a number of anthologies, both in the UK and the USA. In my career, I have taught kids from 9-18 in schools and colleges, including running drama workshops downtown in Kingston, Jamaica. I run creative writing and drama workshops in schools, museums, libraries, and most recently at the New Vic Theatre in Stoke-on-Trent. In my spare time, I enjoy reading, gardening and baking. Muffins are a speciality.